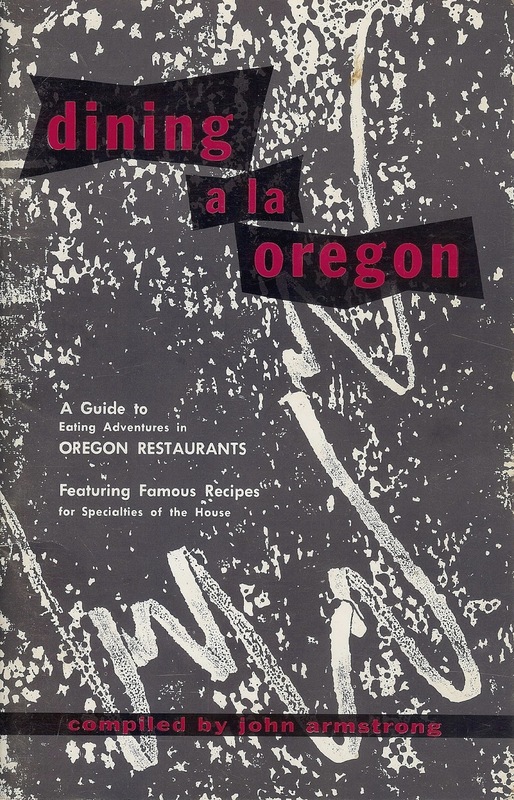 Dining a la Oregon: A Guide to Eating Adventures in Oregon Restaurants, Featuring Famous Recipes for Specialties of the House appears to have been the first compendium of what might be called reviews of Oregon restaurants. It was “compiled” by John A. Armstrong, a “Sunday and feature editor” for the Portland Oregonian newspaper and an honorary member of the new Chefs de Cuisine Society of Oregon. Dining a la Oregon* reviews some 41 Oregon restaurants. The booklet was issued in 1959. That was the centennial year of Oregon’s statehood, an anniversary that launched many projects that catered to visitors, and to Oregonians who were exploring their state. Thirty of the restaurants are in Portland; others are in Yachats, Eugene (2), Cannon Beach Junction, present-day Lincoln City (2), Salem (2), Central Point, Multnomah Falls, and Timberline Lodge. The reviews were based on a series of longer articles that appeared in the Oregonian in 1958 and 1959. 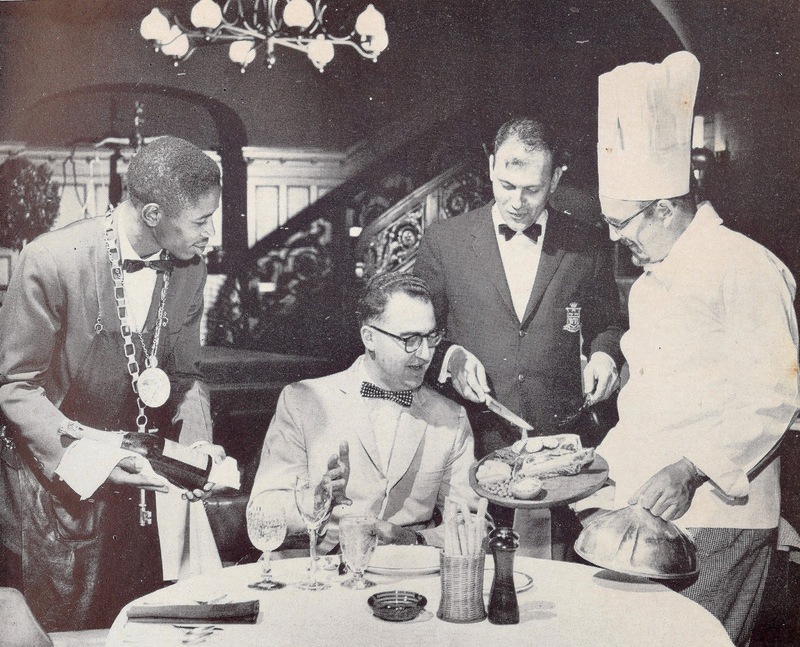 The restaurant review itself was a developing journalistic genre. 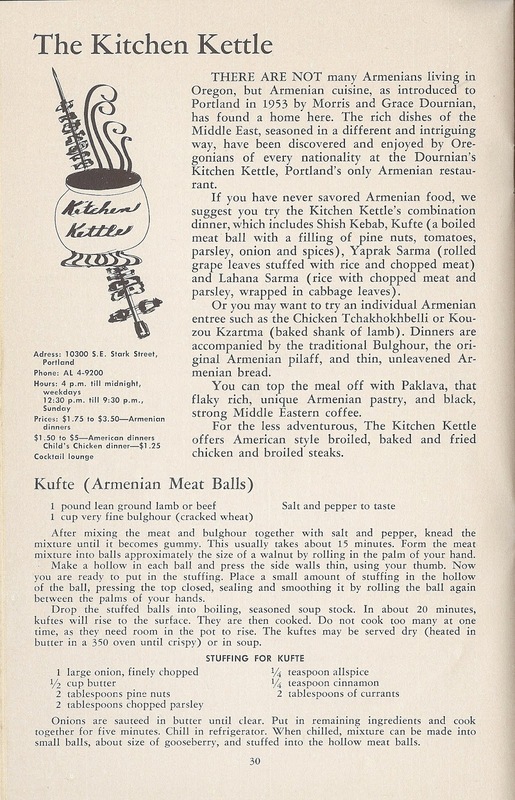 The idea of advising travelers of good places to eat can be credited to Duncan Hines, beginning with his Adventures in Good Eating of 1935 (note the echo of this title in Armstrong’s guide). But for many years, the advice was pretty well limited to advice about places that had been pre-selected as good: you got a description of the establishment and of some of its offerings, but only about its good points. Criticism and comparisons were not found here. It’s a far cry from the analysis, the critical comparisons, the frank judgments and recommendations found in today’s restaurant reviews. One can, however, often appreciate the absence of stridency, pedantry, picayune carping, and snide snobbery, qualities that also are to be found in today’s reviews. Here’s a page from Armstrong’s book. You can find another in my blog post on Henry Thiele. * Note that the title is not Dining à la Oregon.